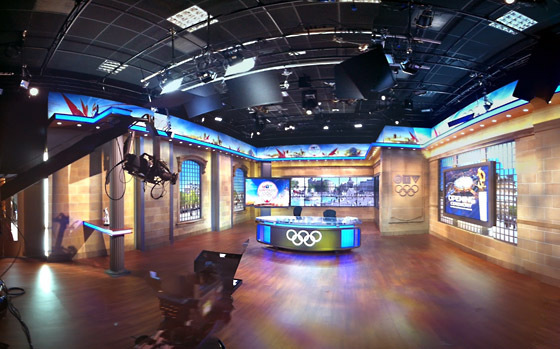 Matching the historic look of the city, CTV’s Olympic home combines old world design with new world technology. The set, located in London, features views of Trafalgar Square and was designed by Jack Morton PDG and built by blackwalnut. 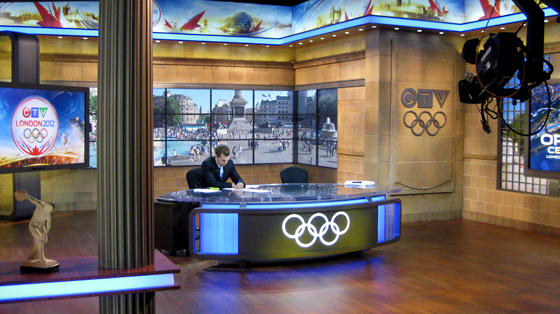 The anchor desk may look familiar, as the same team crafted CTV’s set for the 2010 Vancouver Olympics. The set mixes Greek columns with rustic facades that remind viewers of the many historic buildings in the city, or maybe of Buckingham Palace. Technology is also mixed in throughout, with a LED strip along the top of the set and a 7×3 monitor array behind the anchor. Multiple windows dot the set, adding more views of London. Great care was taken to age the walls, giving it the apparence of an old building. 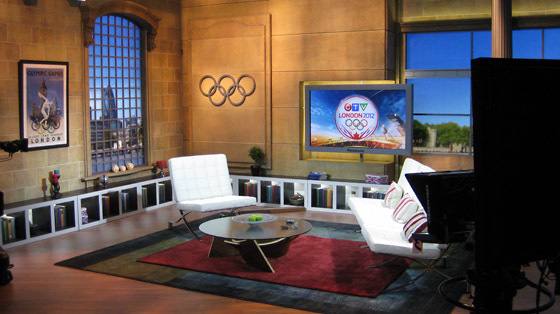 The set includes a modern interview area, complete with couch and fake books. Little touches are added throughout the set, like the poster from the Games of the XIV Olympiad in London. 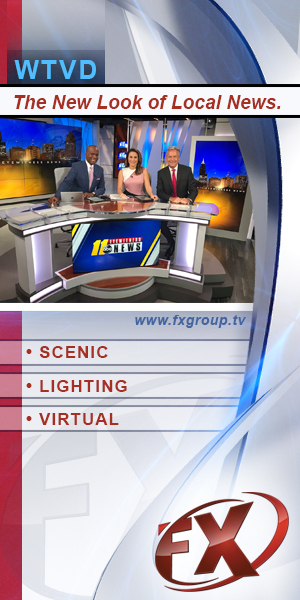 This set is similar to the NBC set, and a big contrast to the BBC view.